Looks like two photos but its actually only one. 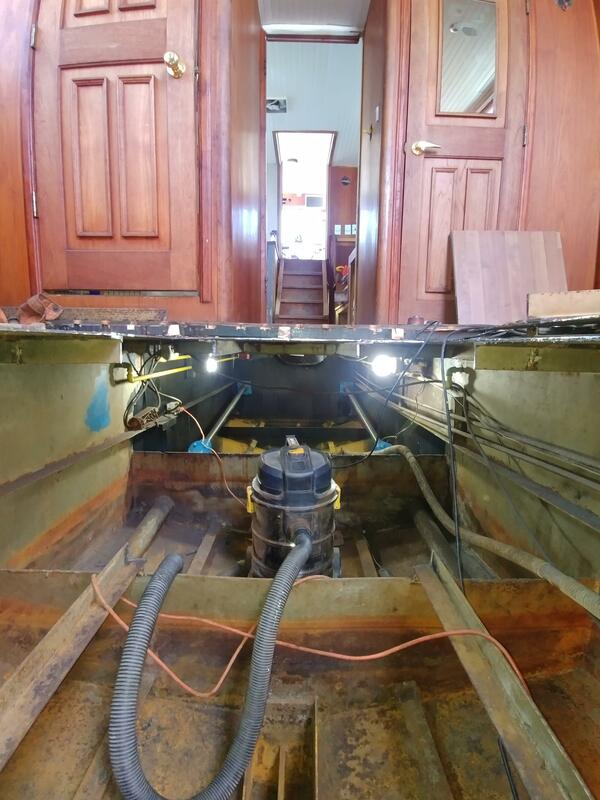 Installing new sewage and fresh water tanks which required a hole to be cut in the steel deck..compartment needs to be descaled and painted before tanks go in. You can see the propeller shafts in the background.